Located in the northwestern corner of Indiana, you will find the town of Dyer. Dyer is a part of Lake County, St. Johns Township and the Chicago Metro Area. This is one of two communities in Indiana that has been named by Money Magazine and CNN as one of the top 100 best places to live in the U.S. It was in about 1830 when the first European settlers arrived in Northwest Indiana. The town known as Dyer today was first platted in June of 1855. A man by the name of Aaron Hart supervised the construction of roads and drainage systems in the community. The town was named after Hart's wife: Martha Dyer Hart and was incorporated in February, 1910. One of the benefits of becoming a Dyer home buyer is that you will have access to nearly two dozen gorgeous parks located within the town. A favorite park among people living in Dyer IN homes is Central Park located on 213th Street. This is the largest park in Dyer and offers such fabulous amenities as covered picnic areas, playground equipment, several athletic fields, a dog park and a paved walking trail. Located on Calumet Avenue, you will find Northgate Park. Features of this park include a spacious playground, several ball fields, a soccer field, tennis courts, horseshoe pits, basketball courts and a sledding hill. Other parks near Dyer real estate are Autumn Chase Park, Green Meadows Park, Veteran's Park and Pheasant Hills Park. Another benefit of owning real estate in Dyer is that you will be just minutes away from a large variety of fantastic attractions. There are many kid-friendly attractions here including Crown Point Family Fun Center, Fun Time Square, Fair Oaks Farms Adventure Center and Seven Peaks Waterpark Duneland. The golf fan in your family will love the fact that there are several great golf courses near Dyer homes for sale, and some of the more popular ones are Lost Marsh Golf Course, Turkey Creek Golf Course and Briar Leaf Golf Club. Individuals who enjoy outdoor activities will love visiting International Friendship Gardens, Indiana Dunes, Gibson Woods Nature Preserve and Miller Beach. Each year, residents of Dyer properties enjoy attending various festivals and other community events. A favorite celebration among people living in Dyer homes is the Annual Cedar Lake Summerfest, which takes place in July. The Summerfest features such exciting festivities as a 4th of July parade, cupcake contests, a cardboard boat race, a car show, scavenger hunts, carnival rides and live entertainment. Another celebration that is held in July is the Annual Festival of the Lakes. This event highlights a custom car and hot rod show, a fishing derby, carnival rides, food vendors, live music, and dancing. 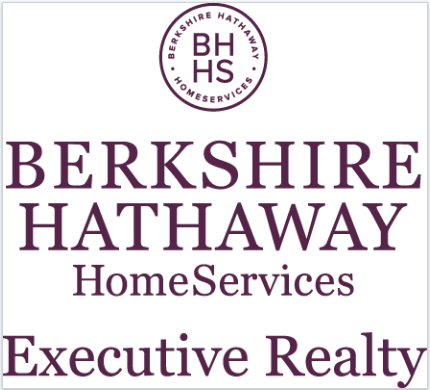 Other events you will have access to as a Dyer home buyer include the South Shore Air Show (June), the Lake County Fair (August) and the Pierogi Festival (July). Are you looking for a place to settle in Indiana that offers quiet living and plenty of fun things to do? If so, our Dyer real estate agent can help you find the perfect home. We can show you any homes for sale in Dyer and answer any questions you may have pertaining to your financing options. Wait not a moment longer! Call our Dyer realtor now.